I made a few little "bunny bags" for Easter using the die from PTI and some felt. I filled them with candies and put the recipient's name on the front. 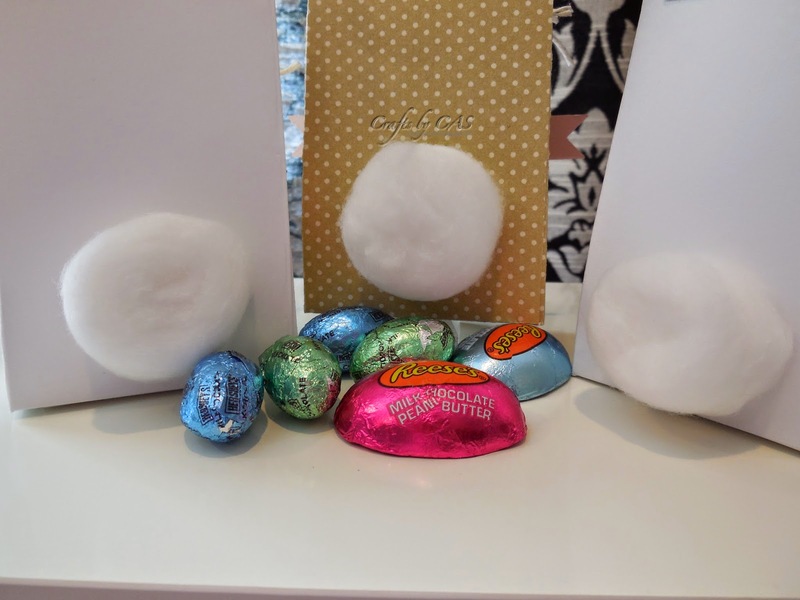 A cotton ball adhered with Glossy Accents finishes it off with the perfect cotton tail. 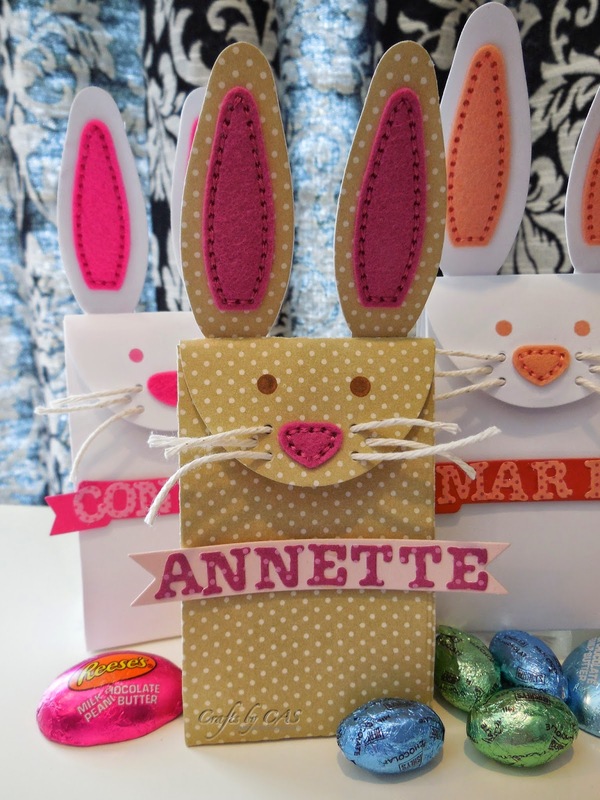 These would make cute place cards for an Easter meal or maybe a favor box for a baby shower.